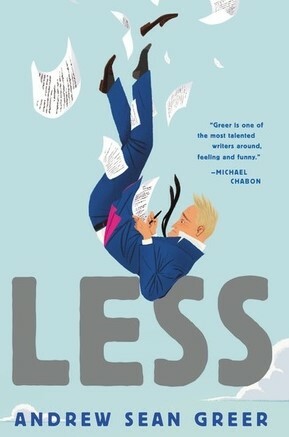 When I heard that the novel Less by Andrew Sean Greer had won the 2018 Pulitzer Prize for Fiction, I thought I’d better read it. To be honest, I had never heard of Less. I knew nothing about it. But I had a feeling. I wondered if the main character of the novel would be named Les or Less. I usually don’t like book titles that are just a character’s name, but I try to stay open-minded about these things. “Please don’t be about a guy named Less,” I said to myself as I glanced at the book cover. “Please don’t be about a guy named Less,” I said to myself as I opened the book to the first page. From where I sit, the story of Arthur Less is not so bad. Aaaaargh! It’s about a guy named Less!!! Look at him, seated primly on the hotel lobby’s plush round sofa, blue suit and white shirt, legs knee-crossed so that one polished loafer hangs free of its heel. The pose of a young man. AAAaaarrrrgh! And the narrator has a condescending tone about Arthur Less. His slim shadow is, in fact, still that of his younger self, but at nearly fifty he is like those bronze statues in public parks that, despite one lucky knee rubbed raw by schoolchildren, discolor beautifully until they match the trees. So has Arthur Less, once pink and gold with youth, faded like the sofa he sits on, tapping one finger on his knee and staring at the grandfather clock. Aaaaargh!!! And this Arthur Less is a loser! What a hack move! I don’t mind authors making hack moves. 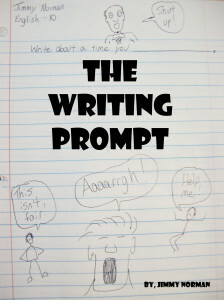 Sometimes an author has to use a gimmick or make a hack move to get a book published. But this hack move just won this author a Pulitzer Prize. I mean, the television show WKRP in Cincinatti used the same joke with its character Les Nessman back in the 1970s. “I believe you can tell a lot about a man’s character from his name,” some braggadocios dude would say while introducing himself. The audience would then laugh while the camera close up focussed on Les Nessman’s face… because his name was Les. It was okay for a 70s TV show to use hacky jokes because they have to come up with 25 weeks of material in one year, plus it was the 1970s. But this novel Less won a Pulitzer Prize for Fiction. The worst part of Less is that this loser Arthur Less has still sold more copies of his books than I have. I can’t even call Less a loser. Of course, I’m fairly successful in a field that has nothing to do with writing, but it still irks me. And I’m not calling Arthur Less a loser because of his book sales or his last name. It’s because the narrator speaks so condescendingly of Arthur Less. Maybe the rest of the novel is better. Maybe Arthur Less meets a protégé named Moore who changes his life. Maybe the author’s condescending tone eventually changes. Maybe Arthur Less finds some value in his life that a condescending narrator wouldn’t understand. I hope so. I have to admit, Less has a pretty cool book cover. If I judged books by their covers, I’d buy Less without a second thought. But as a writer who respects Pulitzer Prize for Fiction winners, I expect more from a book than a cool cover, not Less. AAArrrrgh!! !